An Heroic Quest! 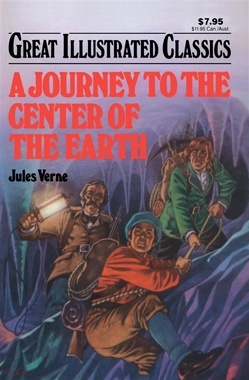 Join Professor Hardwigg, his nephew Harry, and their Icelandic guide Hans in their daring quest down a volcano and toward the center of the earth. Guided by an ancient parchment filled with a mysterious Runic code, the three explorers encounter tumultous storms, wild pre-historic animals, vast underground seas and fierce cavemen. Will they complete their quest? Will they reach the center of the earth. . . ?